Second Life is the re-incarnation of second-hand and vintage fashion movements. Both of them focus on the trade with and consumption of used clothing. The difference between these two is based on value: the first is situated at the affordable and the latter at the more elevated end of the price spectrum. Instead, Second Life does not focus on the material or monetary quality of the pieces, but rather the emotional one by reframing used clothing. The stories and shared emotions evoked by garments are central to Second Life’s take on fashion as a way to encourage the public to see beyond the superficialities of fashion, in order to create a bond with the clothes they wear. Second Life is characterized by its aim to extend the lifespan of an item, not by preserving it in an archive or a museum, but by making it come alive again. Garment’s essence is performed and each wearer contributes to its future history, co-creating meaning beyond designer’s intentions. The idea is that the wearer is not a passive consumer, but rather a respected participant in the creative storytelling of fashion. Second Life unites the creative expression that is found in garments with personal narratives, rejecting the idea that fashion tells a singular story. This is further promoted through online platforms that share stories, physical spaces that promote co-ownership, and the re-staging of used clothes without the typical barriers set by museums. Second Life goes beyond youth culture nostalgia, superficial appearances and pop culture reference points. Instead, it is concerned with past wearers’ personal lives and the private histories embedded in garments. The emphasis shifts from an interest in cultural heritage towards an identification with individual stories. The aim is to revalorize clothing and to transform them from perishable items for daily use into sacred objects. Second Life is not characterized by trends. It is something deeply personal where the wearers do not choose garments anymore, but instead, they find them. When it comes to Second Life, the notion of ownership is less relevant. Cherished clothes outlive their wearers before they are passed on to the next person. Garments become bearers of intimate stories that are to be discovered by those willing to look for them. During a time of overwhelming information overload and the lure of the new waiting around every corner, a new urgency to preserve history, culture and personal narratives surfaces. Amongst heaps of waste, Second Life initiates a treasure hunt in an attempt to make sense of impersonal, industrially produced goods. Used clothing trade has spread all over the world in tune with industrialization, establishing secondary markets and becoming a justification for overconsumption in the economies that are doing most of the donating. ‘Kafa Ulaya’ is the name Kenyans and Tanzanians give to second hand clothing. It translates into ‘clothes of the dead whites’, which gives them a ritualistic aura. The ghosts of the past wearers are acknowledged as the new wearer puts on a layer of their identity. Ironically, second hand shops in Zimbabwe are called ‘mupedzanhamo’, ‘where all problems end’. East African countries (Kenya, Tanzania, Uganda, Rwanda, and Burundi), the final destinations for a large amount of global material donations, have imposed a gradual ban on used clothing imports to accelerate their local industrialization. This forces Western donors and traders to deal with the surplus of goods that were previously conveniently shipped out of sight. As concluded in a 2015 study, the global second-hand clothing trade ‘is predicated upon the unsustainable production and consumption of fast fashion that feeds it. As low-paid producers in the global South consume cast-offs from the global North, which they may have made but cannot afford to buy new, the whole cycle is characterized by increasing social and economic inequalities both within and between trading states.’ The flipside of second-hand business is that it is doing more harm than good in the receiving countries. This realization has highlighted the need for our relationship towards clothing to change, especially in the Northern hemisphere. 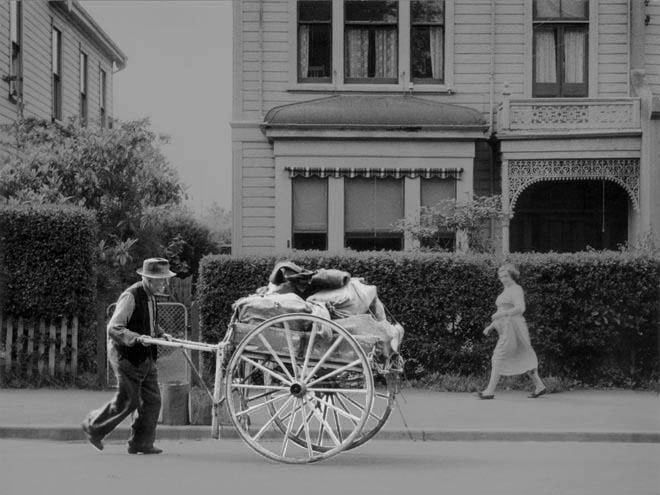 The tradition of passing clothing down through the generations for economic and practical reasons is still alive in many families. Garments are also kept for their symbolic value. Wedding dresses, for instance, become heirlooms when given from one bride to another and their re-enactment, accompanied with tales that are woven into the dress, becomes a family tradition. It is a way of honoring one’s ancestors and acknowledging the transitory nature of one individual’s life within the continuity of human existence. When unavailable in the immediate community, outfits for special occasions have been provided by rental services. Dating back to the 17th century, the oldest provider of ceremonial robes is Ede & Ravenscroft in London. However, it took over a hundred more years until suit hires became widespread in Europe. Although less personal, these garments still represent rites of passage as part of dances and academic, as well as religious ceremonies. They are entry tickets to other worlds, captured in photographs and forever linked to a memory. 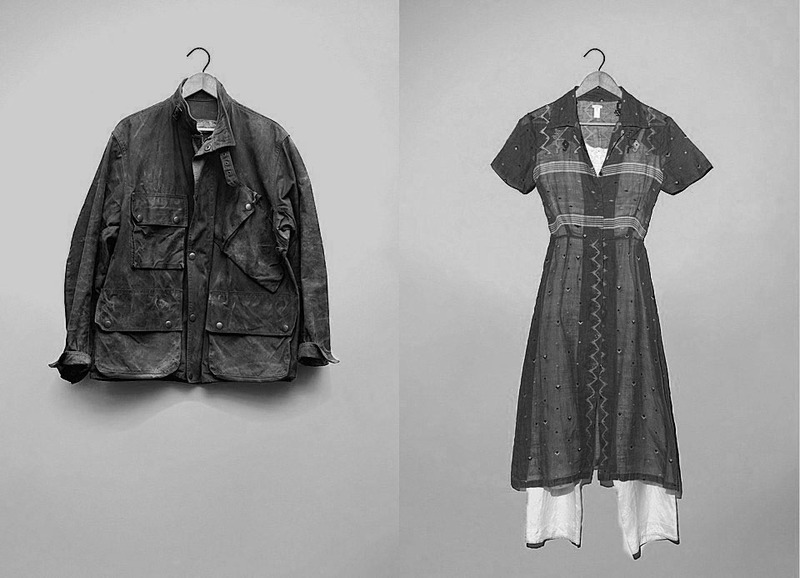 Christian Boltanski, among multiple other artists, has used worn clothes in his works to represent ghosts of the past. This fascination goes back to 19th century education, when everyday objects, including clothes, were used as a narrative tool to develop students’ empathy. – In recent years, publicly shared wardrobes have been appearing in cities all over Europe, representing the everyday equivalent to formal dress rentals. They aim to sensitise people for the amount of time they actually wear each garment they own. Initiatives that run these open wardrobes seek to counter unsustainable patterns of consumption by asking customers to return ‘shopped’ pieces after a specific amount of time, freeing them again for others to wear. This way, customers still have the opportunity to express themselves through new clothes, yet do not amass more in the process. Instead of hiding away in the back of drawers, each piece is worn until the natural end of its lifecycle, satisfying multiple wearers. The people who use these organized swapping systems seek to reduce their consumption while still being able to enjoy fashion’s rhythmic renewal. They collectively take care of the clothes that are used together. A great example of this is Lånegarderoben clothing library in Stockholm that opened in 2010. – A similar concept is A Loja Vazia / The Empty Shop campaign, a temporary pop-up store that partners with charity organizations and city malls to create empty retail spaces that are filled by residents and curated by volunteers. The Empty Shop keeps clothing in the community and supports local non-profit organizations. Initially created for the Villa Lobos Mall in São Paulo by Brazilian communications agency LDC (Loducca), the concept has since travelled to Johannesburg, Manchester, Barcelona and Antwerp among others. The makers of the campaign provide the store design, with empty shelves, hangers and mannequins. The goal is to provide a temporary alternative space amongst conventional shops. 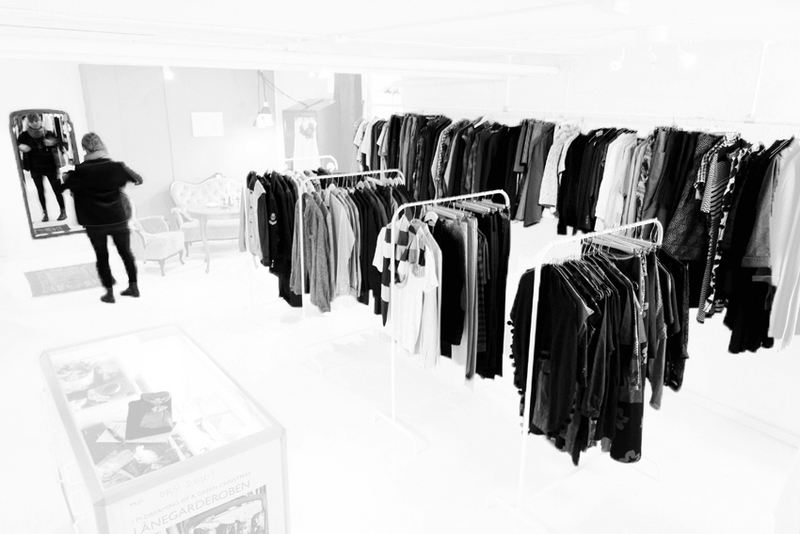 Wherever the Empty Shop arrives, the public can donate their used high-quality clothing, which is then carefully styled and displayed in the store. By its mere presence and by not providing its own merchandise, the shop is a call to collaborative action. It serves as a symbol for the residents in each city inviting them to reflect on their consumption habits and to consider giving a second life to clothes provided by their local communities. The shop is emptied each evening, awaiting new donations the next day. The retrieved clothes are turned into looks pulled together by stylists and brought to homeless shelters. Proceeds gained from sales go to local charities. The project fosters community, dialogue and the revalorisation of used clothing in spaces usually reserved for mindless individualistic consumption. – Worn Stories is a project by the New York-based fashion writer, artist and curator Emily Spivack. It was initiated in 2010 and turned into a best-selling book in 2014. 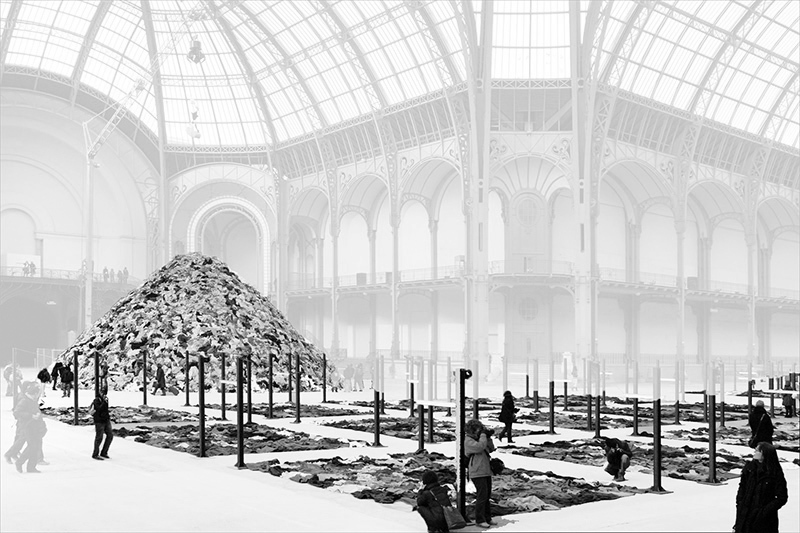 It presents garments, unworn, accompanied by stories as told by their wearers. The project continues online, where anyone can submit their story, heightening the perceived value of their pieces. The personal importance of clothes is transmitted to a wider public, bringing attention the emotional connection that most people develop with items in their wardrobes. These objects defy trends and are a reflection of past versions of their wearers or carry a memory of a pivotal moment of their life. The power of this project lies in the absence of the wearers, instigating the curiosity of the reader by inviting them to complete the story by imagining the character within the clothing. Against a white backdrop, each piece stands for itself, becoming a mythical object. – Impossible Wardrobes is a series of performances executed by Tilda Swinton, created with Olivier Saillard, director of the Palais Galliera. 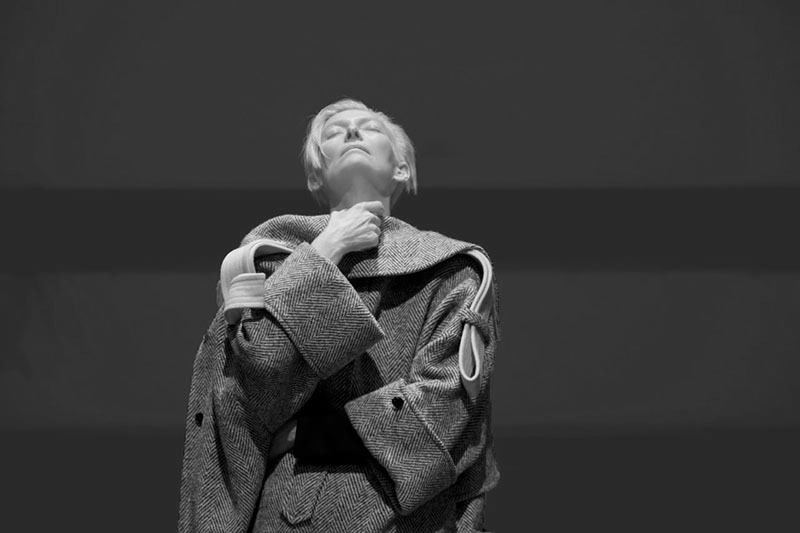 In the first performance Swinton walks down a runway in a white robe, presenting series of the museum’s archival garments. These precious pieces were handled with great care, Swinton’s expressions and posture reflecting the essence of each piece. The second performance, ‘Eternity Dress’, focused on the process of making fashion by creating a dress in real time in front of the audience. The third one, ‘Cloakroom’ once again dealt with the second lives of garments. Visitors’ clothing was central to the performance. They were asked to give their coats to the cloakroom, which was then moved onto the stage. The relationship between clothes and their wearers was closely examined and Swinton brought alive the ‘souls’ of the pieces by performatively interacting with them. Swinton and Saillard follow the same objective as Spivack, heightening the value of clothing and strengthening the personal relationships that wearers have with them. – Nineteenth century ‘clothing tales’ find a contemporary adaptation at VESTOJ. Both new and old fictive stories revolving around clothes aim to bring back imagination into writings about fashion. Clothing tales add a personal and a mythical dimension to everyday objects, inviting readers to spend more time with them in order to discover the magic that fashion can disperse. These stories celebrate clothes and add more dimensions to them through writing. They contribute to bringing back attention to the value of garments that we interact with on a day to day basis.